and you can see it is a full tang. Very nice knife, sharpens and holds an edge very well. Not like some of the knives you get from the NRA. Today is New Knife Day (NKD). 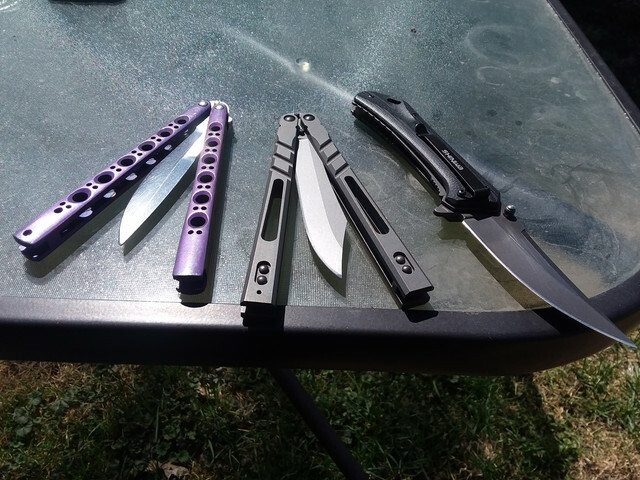 On the left is yet another Alphabeast (I traded the Benchmade 42 for it), amd on the right is a gift from my wife, an Eafengrow EF216 Tactical. D2 steel blade riding on bearings, titanium handle construction. Built like a tank.